Running Man is classified as “urban action variety”; a genre of variety shows taking place in urban environments. In this kind of variety, the MC and his guests must complete a mission in a landmark to win the race. The show has since switched to a more well-known variety/reality concept, focusing on the games. Running Man started airing in 2011. The show is hugely popular in other parts of Asia, and has gained great popularity among Hallyu fans, proven by fans who are willing to sub the show in several languages, such as English, Spanish, Portuguese, French, Italian, Thai, Vietnamese, Chinese , Malay, Indonesian, Burmese, Arabic, Russian, and Turkish. 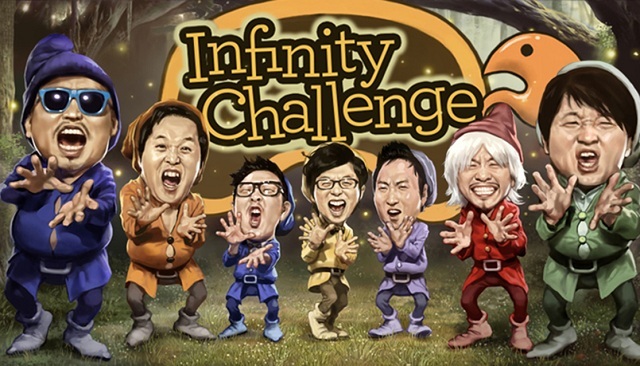 Infinity Challenge is a South Korean television entertainment program that is distributed and syndicated by MBC. 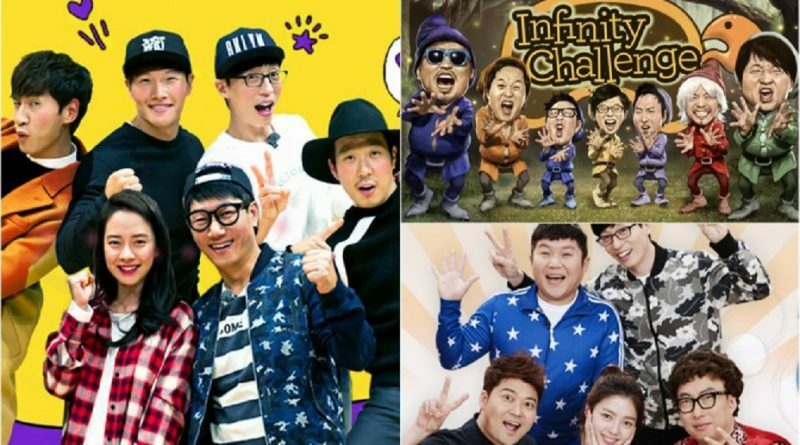 Infinity Challenge is recognized as the first “Real-Variety” show in Korean television history. The program lacks scripts and follows a similar reality-based programming format known to a number of audiences in the west. The challenge is often ridiculous, unreasonable, or impossible, so this program takes on a satirical comedy variety aspect rather than a standard show or a standard contest. Happy Together is a South Korean reality/variety show that was first launched on November 8, 2001 on KBS2. It was the most popular show on KBS from 2002-2003. Currently, Happy Together is still considered one of the most popular shows in Korea, airing every Thursday at 11:05 pm (KST). We Got Married is another South Korean reality show aired every Saturday 17:00 KST on MBC. The first broadcast was aired in 2008. In ‘We Got Married’, Korean celebrities are paired to act as if they’re actually married. Every week, the couples are assigned to complete missions, accompanied by honest interviews in which they express their thoughts and feelings. 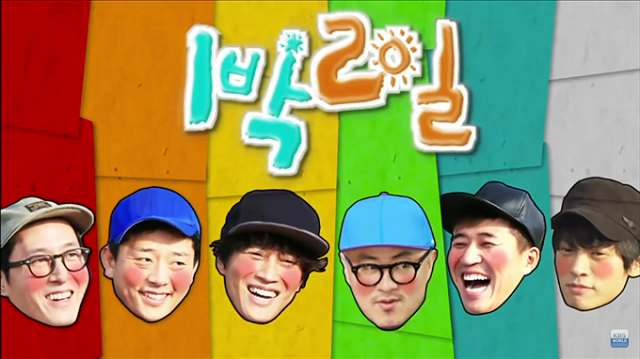 1 Night 2 Days is a South Korean variety show aired on KBS2 since August 2007. The permanent members of the show are Kim Jong-min, Cha Tae-hyun, Kim Joon-ho, Defconn, Yoon Shi-yoon and Jung Joon- young. The show’s slogan is “Real Wild Road Variety.” The key concept of the show is to recommend a variety of points of interest for viewers in South Korea. Filming for each new trip is usually done 2 weeks before it is broadcasted on KBS2.